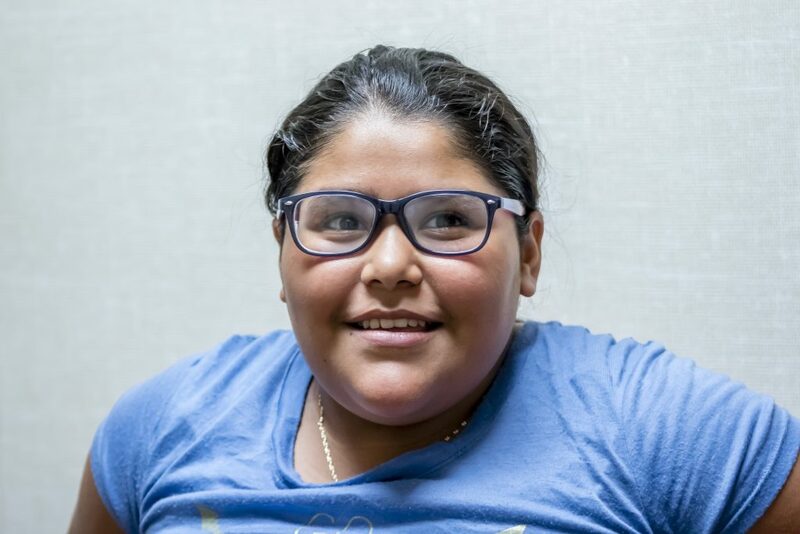 11-year-old Delia suffered from poor vision which later affected her in many aspects of her life. This not only led to poor grades but also crushed her self-confidence. Her lack of vision led to a lack of motivation in school along with emotional distress from the line of bullies who picked on her for her eyesight. Delia had to constantly move to the front of the classroom and write in extremely big font to be able to read her own notes. She has dreams of becoming a dentist and this spark of hope didn’t come back until she was finally able to see again. She was gleaming with happiness when trying on her glasses for the first time and is thrilled about the freedom to sit anywhere in the classroom while writing in normal font. Despite the signs of her vision problems, Delia was not referred to an optometrist. Instead, the need for further evaluation was discovered at a routine physical at the School Based Wellness Center. 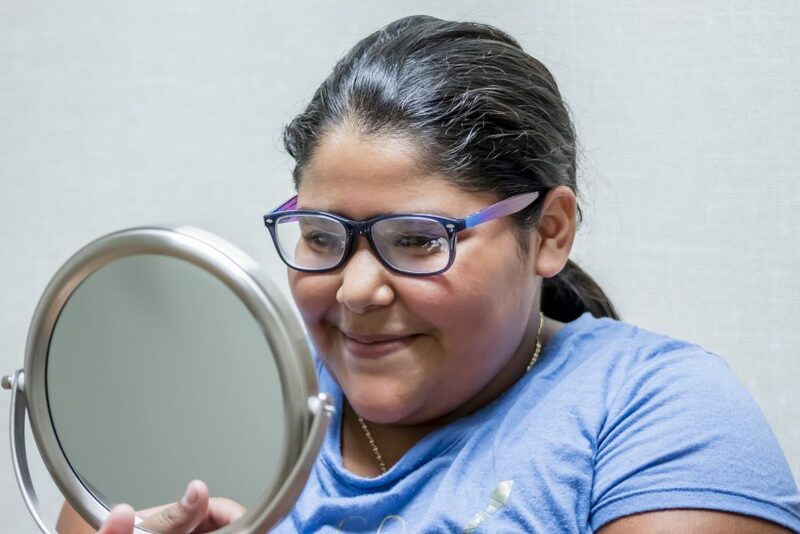 After this, she was able to receive a full diagnosis thanks to the School Based Vision Clinic, and get the pair of corrective lenses she need to succeed in school. Help more students like Delia regain their confidence with your $10 donation.